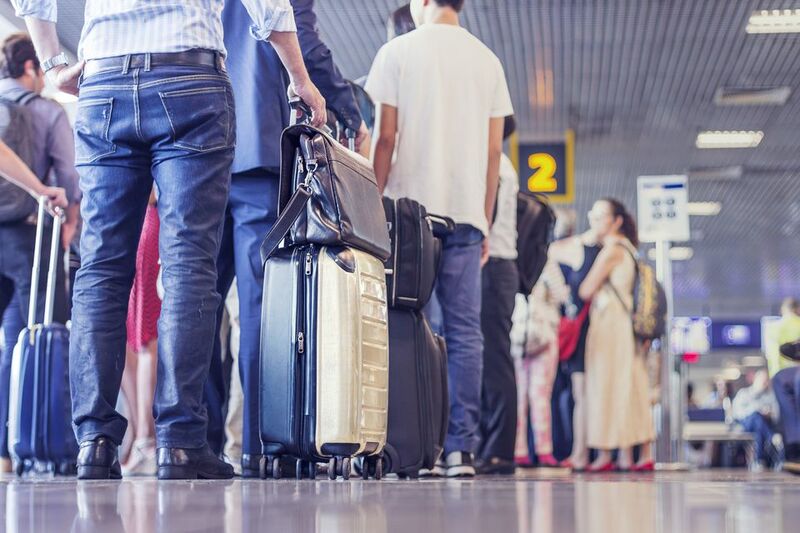 We all know about the more well-known airports like Washington Dulles, Chicago O’Hare, and Miami International, but while these airports offer good flight options, they can have higher fares. Many large cities and metropolitan areas have secondary airports that can provide good flight options at lower fares, with some even offering international destinations. Below are 10 alternatives to the bigger, more well-known airports. BWI has long positioned itself as a lower-fare option to Washington Dulles and Washington National. Located 32 miles north of Washington, D.C., BWI is the largest airport in the Delaware-Maryland-Virginia region, serving 25 million passengers in 2016, compared with 23 million for National and 21 million for Dulles. It’s home to 18 domestic and international carriers including a large presence by Southwest Airlines and international flights from British Airways. There’s even The Club at BWI, a paid lounge in Concourse D. Residents of both cities have access to the airport via rideshare, shuttles, taxis/limos, public buses (the D.C. Metrobus goes directly to the Greenbelt Metro subway stop) the commuter MARC train and Amtrak. Located 20 miles from downtown San Francisco, this alternative to San Francisco International Airport has long been an option for lower fares. It is a big outpost for Southwest Airlines and 12 other carriers including ultra-low-cost carriers such as Spirit Airlines and international flights from British Airways and Norwegian. The Escapes Lounge in Terminal 1 is a nice respite. Access to the airport is easy, with ride sharing, shuttles, taxis/limos, public buses and direct access to the BART, the Bay Area's train system. This airport, located about eight miles outside of downtown Dallas and 35 miles away from Fort Worth, is an alternative to American Airlines’ massive Dallas/Fort Worth International Airport hub. Love Field, which completed a terminal renovation in 2014, is the home to Southwest Airlines and also has service from Virgin America, United Airlines, Seaport Airlines, and Delta Air Lines. Along with the usual ride sharing, shuttles, taxis/limos, public buses, travelers can get to Love Field via Dallas Area Rapid Transit’s (DART) Love Link bus to DART Rail’s Orange and Green lines. This airport is the city's second behind Chicago O’Hare and is home to Southwest Airlines, along with Delta Air Lines, United Airlines, Canada's Porter Airlines, and Mexico's Volaris. The airport is about 10 miles away from downtown Chicago. It has the usual transportation options, including a direct CTA Orange Line train to downtown. This airport, 10 miles away from downtown Houston, is an alternative to George Bush Intercontinental Airport. It serves as a large base for Southwest Airlines and is also served by American Airlines, Delta Air Lines, JetBlue, and Via Air. The airport’s transportation options include ride sharing, taxis/limos, shuttles and the Houston Metropolitan Transit Authority’s (METRO) public bus. Travelers who don’t like Miami International’s massive size and higher fares will drive about 30 miles north to this airport. Currently undergoing a renovation of its terminals, the airport is home to 31 domestic and international carriers, including Allegiant, Brazil’s Azul, British Airways, Emirates and United Airlines. Along with the usual rideshare, taxi/limo, and shuttle options, the airport offers a Broward County Transit (BCT) bus to Fort Lauderdale. There are also free shuttle buses to the Tri-Rail commuter train that offers service to Miami-Dade County, Broward County, and Palm Beach County via the Fort Lauderdale-Hollywood International Airport Station at Dania Beach. This airport, 25 miles south of downtown Los Angeles, has become a popular alternative to Los Angeles International Airport, which is in the middle of a massive upgrade of its terminals. Long Beach Airport is a perfect mix of old and new. Opened in 1941, it was designed in the Streamline Moderne style, featuring iconic ceramic mosaic floor tiles throughout the building, along with decorative murals in a building that is designated as a Cultural Historic Landmark. The airport’s new modern terminal, featuring 11 gates, local eateries, and outdoor seating areas, opened in 2012. It serves as a focus city for JetBlue and also has flights by Southwest Airlines, Delta Air Lines and American Airlines. The airport has rideshare, taxi/limo, and shuttle transportation options, along with three Long Beach Transit bus routes and the Metro Rail system to the city’s Wardlow Station. About 85 miles north of Chicago is this Milwaukee-based airport. It touts itself as "an easy travel airport" as compared to Chicago O'Hare International Airport. General Mitchell is home to 10 US and international carriers including Air Canada, Delta Air Lines, United, and Volaris. Travelers can get to and from the airport via taxis/limos, ride shares, shuttles, Milwaukee County Transit System's GreenLine and Route 80 and Amtrak's Hiawatha Line to Chicago. This airport, originally built in 1941, became Williams Air Force Base from 1948 to 1993. It became Williams Gateway Airport a year later, opened to serve as a reliever for Phoenix Sky Harbor International Airport. It started operations with charter service from Ryan International Airlines in 2004. Three years later, ultra-low-cost carrier Allegiant Air started service and the airport got its current name. Calgary, Canada-based low-cost carrier WestJet joined Allegiant and began flying out of the airport in January 2017. The airport, 38 miles away from downtown Phoenix, offers access to taxis/limos, ride shares and the Valley Metro bus system. Providence, Rhode Island's airport is a solid alternative to Boston Logan International Airport, just 60 miles north. The airport has seen its number of flights double in the past year, thanks to the opening of a longer runway and new domestic and international service from 11 airlines including Air Canada, Norwegian, Southwest, American, United, Southwest, and TACV. T.F. Green Airport is home to the InterLink transportation hub for passengers that includes a consolidated rental car facility, Rhode Island Public Transit Authority bus service and MBTA commuter trains traveling between southern Rhode Island, Warwick, Providence and Boston. There's also ride sharing, taxis, limos, and shuttles.